26 Jul Are There Any More Driving Test Changes In The Pipeline? In the UK, around 1.6 million people sit the practical car test every year, with a pass rate of 43% and a pass rate of 52% on the theory test. Recently, the DVSA has announced some changes and there are rumours of further changes in the pipeline. This is the biggest shake-up in 20 years of driving test history, so to keep you updated, here is everything you need to know about the “new” UK driving test. 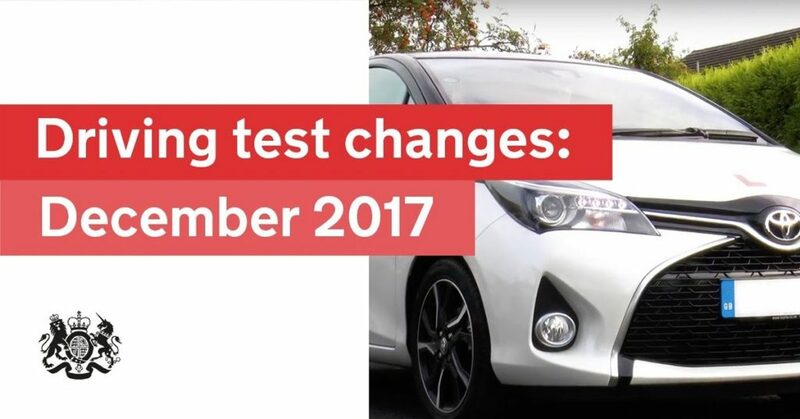 There are four main changes in the driving test which come into force on December 4th, 2017. 1. There will be an increase in the “independent driving” section of the practical test. This will increase from 10 to 20 minutes. 2. Replacing manoeuvres such as ‘turn in the road’ with ones that are considered more ‘real life’, such as driving in to and reversing out of a parking space. 3. Asking one of the two vehicle safety questions (known as the ‘show me/tell me’ part of the test) whilst the candidate is driving. For example, asking a candidate to wash the windscreen using controls or asking a candidate to use the rear heated screen. 4. Candidates will be required to follow directions using a Satellite navigation system as an alternative to hearing physical directions and following road signs. The DVSA says that about half of all motorists now have sat navs, so they should play a role in the practical exam in the future. Some experts have proposed the possibility of bringing in a standardised driving test car. This is due to increased fears over the driving test becoming too easy to pass with high-tech vehicles. It’s argued that features such as blind spot monitoring, speed limit detection and collision warning, are all available on many learner cars and can, therefore, be used during a test to an unfair advantage. However, despite what is considered a “novel” idea, the introduction of a standardised exam car could on the flip-side also make it potentially more difficult to pass. This is because you are giving learners an unknown vehicle on their test day – a vehicle they haven’t built confidence in. Another hold up is the funding required from the government to back the scheme, which would ultimately increase the cost of the test overall. Whatever happens, it’s important you choose an instructor who enters their pupils for a test when they are confident and equipped with the necessary skills and attitude to be a good driver. Check out Alfie’s Driving School to see how we could help you!